I'm back with another recent publication. In fact, this magazine has only just hit the stands. It's a special issue from Paper Crafts called Card Design Handbook. I've got my copy - and it's great. Loads of fab cards with great tips on design. 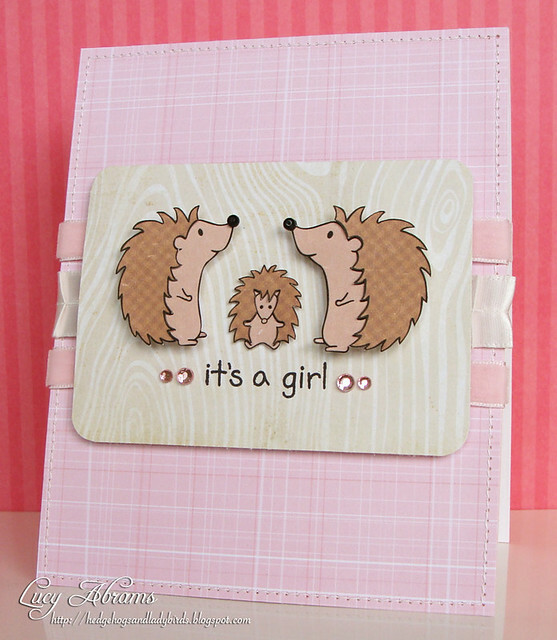 I used cute hedgehog digi stamps from Pink Cat Studios. Aren't they sweet. The sentiment stamp is by Lawn Fawn. Oh, and look at that delicious pink velvet ribbon. It's from The Ribbon Girl (of course!). Such a sweet card, Lucy and a perfect example of how symmerty can make a design work!